You will need to plan and budget to pay for your post-secondary education and additional expenses like textbooks, transportation and meals. Education after high school is a great investment but it's a great idea to plan what your costs are going to be. learn what you'll have to pay for while in school, and why prices can differ. find out how much students are paying for post-secondary education. get an idea of how much it will cost for basic necessities in different regions of B.C. 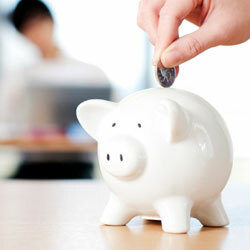 Find programs and services to help you plan and add funds to your budget. discover funding that doesn't have to be repaid. If you're planning on taking out a student loan, it's important to prepare for repayment. Use this loan repayment estimator to calculate the estimated monthly payments you'll need to make to repay your loan and how much your loan will cost with interest. Note: This tool is for informational purposes only. Your actual loan repayment amount may vary. The prime rate is used as a base to calculate the interest applied to a Canada Student Loan. It is then added to the fixed or floating interest rate. The prime rate is calculated using the average interest rates declared by the Bank of Nova Scotia, TD Canada Trust and the Bank of Montreal. Fixed rate is a stable rate of interest. If you negotiate a fixed rate, you will be charged the same interest rate throughout your repayment period. The Loan Repayment Estimator uses a fixed rate of 5%. It is then added to the prime rate. Floating rate is a rate of interest that varies over time with the prime rate. If you negotiate a floating rate, the interest you are charged during repayment of your loan will increase and decrease along with the prime rate. The Loan Repayment Estimator uses a floating rate of 2.5%. It is then added to the prime rate. Your total interest payable may fluctuate with the changes in the prime rate. The interest rate for the Canada portion of your integrated student loans is either a floating interest rate (the prime rate plus 2.5 per cent) or a fixed rate (the prime rate plus 5 per cent). The Canada portion of your integrated loan will automatically be charged the floating interest rate unless you choose to change to the fixed rate. Switching from a fixed to a floating rate is not permitted. There is no interest charged on B.C. Direct Lend integrated and unintegrated student loans, overawards, and B.C. Risk-Sharing/Guaranteed loans in default. Interest on the BC student loans was eliminated, as of February 19, 2019. If you take advantage of the six month non-repayment period, 114 monthly payments represent a total repayment period of 9.5 years (10 years x 12 monthly payments less your six month non-repayment period). If you do not take advantage of the six month non-repayment period, 120 monthly payments represent a total repayment period of 10 years (10 years x 12 monthly payments). You can select a shorter repayment period by entering a lower number of monthly payments. Note: The information you enter is not shared, saved, stored in a database, or used for any other reason. This tool is based on the CanLearn.ca tool.